Plans to buy land at RAF Cranwell and build 29 new council homes are set to be discussed next week. North Kesteven District Council’s Full Council will discuss the potential development for land off Sycamore Drive, including budgets and contracts during a private session on Thursday evening. 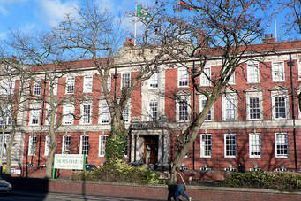 The recommendations come from the council’s executive and also call on the council to waive contract procedures and delegate approval of procurement to the Chief Executive. It is understood the purchase relates to plans by Mantle Developments, which were approved in June 2017, after original plans for 45 homes on the site were refused the previous year. In documents available to the public, Council leader Richard Wright says: “The NK Plan identifies the need to increase the delivery of affordable homes in communities within the district. “The proposed scheme will add a welcomed 29 new affordable council homes in the Cranwell area. “Suitable open space is a key part of good housing design. The proposal contains an accessible area of open space as per the planning permission for the site. Also speaking in support is Ashby De La Launde and Cranwell Independent councillor Steve Clegg, however he asks councillors to take on board residents’ concerns regarding open space provision, parking and access to Cranwell Primary School. The plans form part of the council’s “Our Homes” priority, which seeks to identify sites. Documents before the authority say the site already benefits from planning approval and has “lower risks” than acquiring the land and developing it “another way”. An unannounced budget for the build will come from the council’s unallocated New Build budget in the Housing Revenue Allowance Capital Programme for 2019/20.